Boyfriends are supposed to be loyal, caring and handsome. Giovanna’s boyfriend Jesse may have the last two down, but he’s seriously lacking in the loyalty department. When her twin brother, Dante, runs for student body president, Jesse campaigns for the opponent. In the heat of the moment, Giovanna dumps Jesse and becomes Dante’s campaign manager. But she almost immediately regrets her decision. Beating the mayor’s son at school politics and winning her boyfriend back are going to take a lot more risk than Giovanna ever dreamed she’d take. 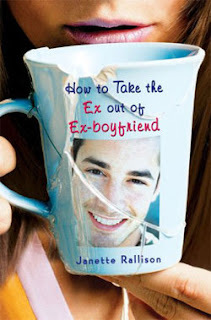 This is the first Janette Rallison book I’ve ever read. I liked it–thought it was very funny. Going to have my teenage daughters read it.